Island Creative is a leasing agency…presumably their offices have moved. 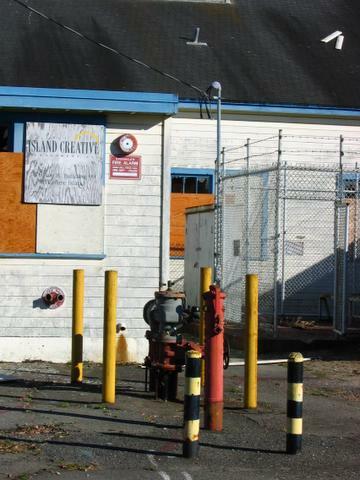 There are lots of pipes on Treasure Island, jutting out randomly every which way, and all brightly colored. I imagine that this is done so that no one collides with them, not in the interest of making the plumbing more photogenic. It does, however, make for a striking image, especially in the late afternoon. These pipes are attached to the old gymnasium. 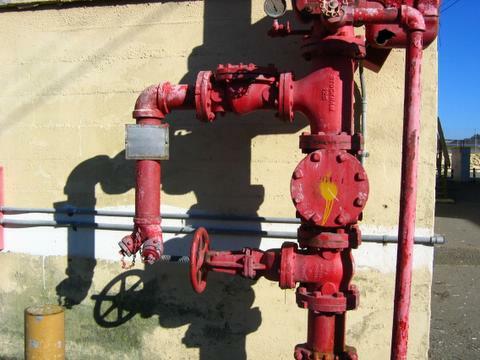 Whenever I see a valve, wheel, or lever, I feel an irresistable need to turn it–I shouldn’t have bothered in this case, because it was rusted shut. 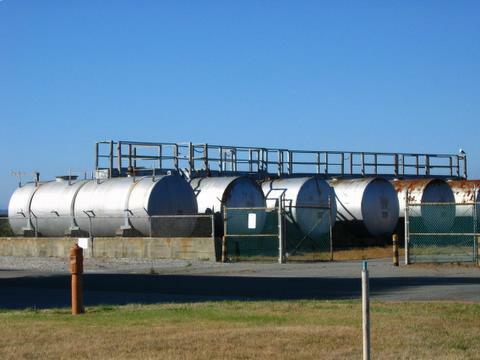 There are loads of abandoned fuel tanks around the island–most of which say “empty: abandoned in place.” I’m not sure about these–I couldn’t get close enough to read them because of the fencing. I suspect they probably hold/held diesel fuel, which is always a useful thing on a Navy base. 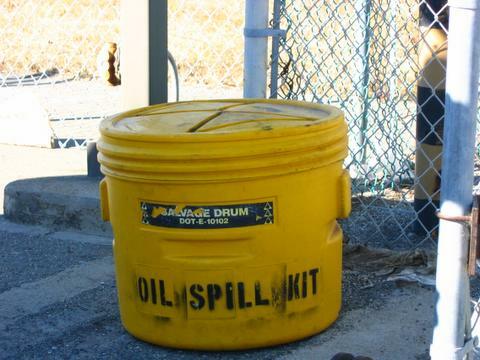 Luckily if there is a spill, there’s an oil spill kit handy. 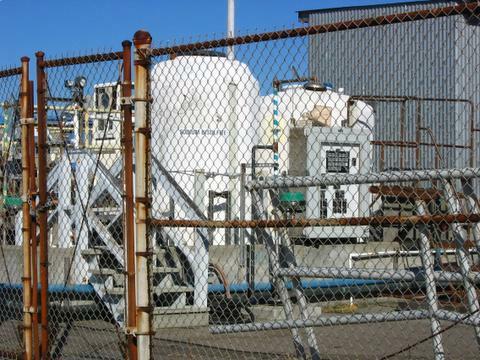 Treasure Island also has its own water treatment plant. It’s fairly extensive and one of the few active sites on the island. It also smells funny. The fencing thwarted my life long mission of pushing as many buttons as possible, so I had to content myself with photographs instead. This giant tank is part of the water treatment plant. I was mainly excited by the stairway, and I imagine there’s a matching one inside the tank. My hosts told me that it’s possible to climb into the abandoned tanks, which must be an awesome sight. 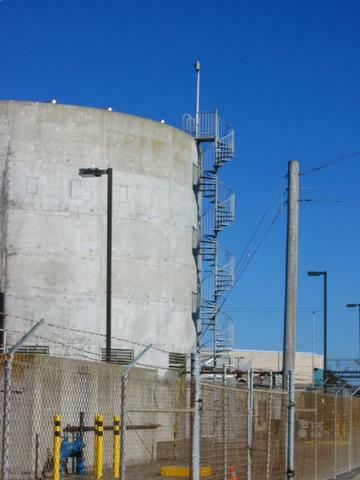 This tank, as you can see from the utility pole, was very large. You will also note pipes.